Gentlemint has been a treasure trove of weird and amazing food dishes over the years. And you can bet that whenever Super Bowl season rolls around, our amazing Gentlemint members never fail to find the best--and weirdest--foods you could possibly dream up for your Super Bowl party. 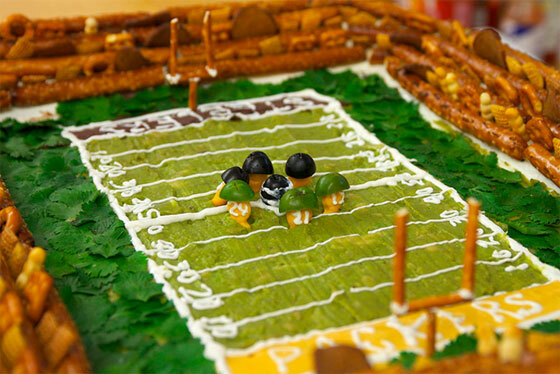 So here's the cream of the crop, the most interesting and tasty Super Bowl party foods shared on Gentlemint. You'll laugh, you'll cry... and you'll probably hurl. 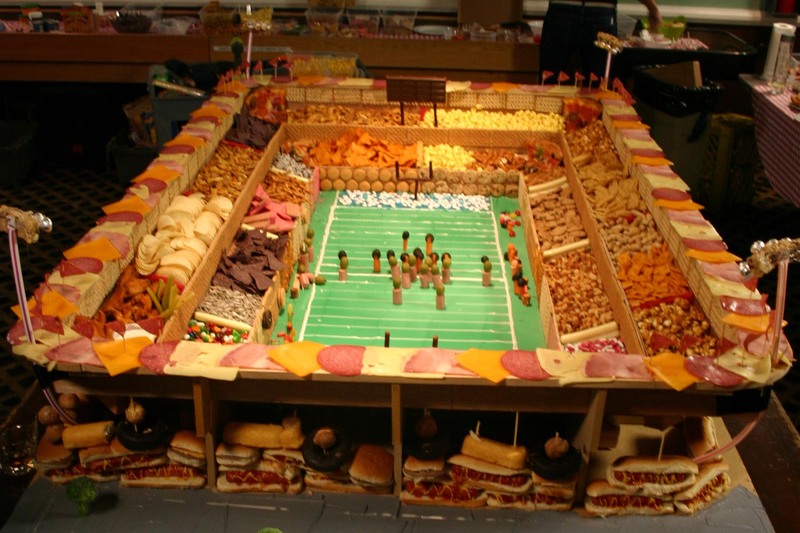 This is for those that may not want to actually cook anything, yet still leave leave an impression, you might consider making the Super Bowl Meat Stadium. There really isn't much more to it than buying a pantload of finger foods (deli meats, cheeses, crackers, etc. ), and arranging them in interesting ways. The dish is low on original ingredients, but high on time and creativity needed. But if you can pull it off... man oh man. There can only be one winner at the big game, and if you can pull off constructing a replica Vince Lombardi (aka "Vince Stop-heart-y") trophy, than the winner will be you. 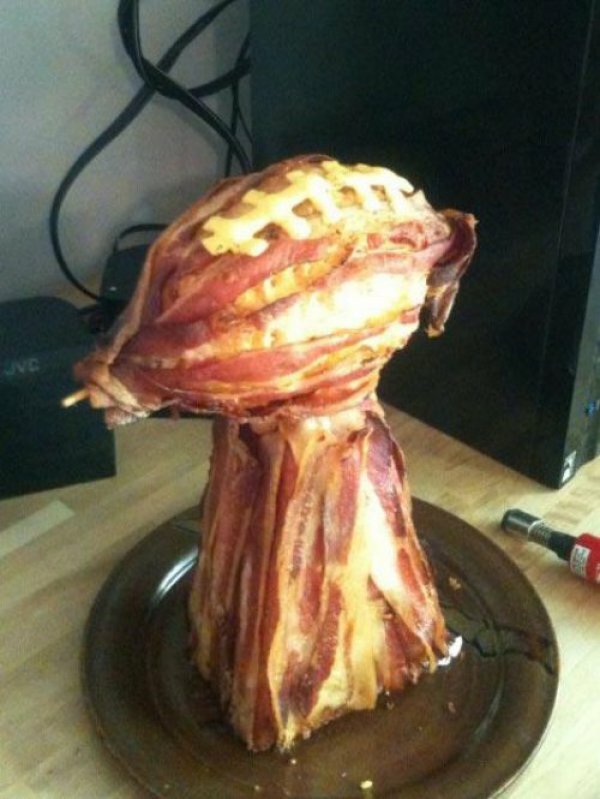 While we couldn't find an official recipe, we know for a fact that what's covering the trophy is actually pig skin! Bacon, people. Lots of it. When one hears the word "cupcake", one things of dainty, fluffy and moist deliciousness. These things are all well and good, but not what comes to mind when you imagine game fare. Make no mistake: the Buffalo Chicken Cupcake is not dainty. 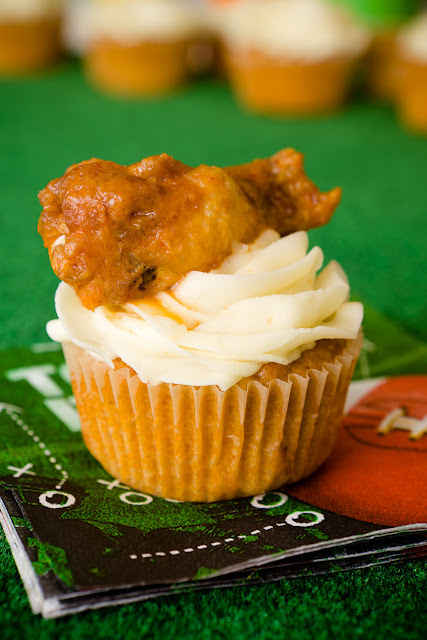 It's an actual chicken wing perched atop a hot sauce cupcake, topped with blue cheese buttercream frosting. This concoction is a clever take on the desert parfait. Smoked pork loin, braised collard greens, mashed potatoes, and a garnish of cheese, bacon and barbecue sauce. Tiny umbrella not crucial but highly advised. 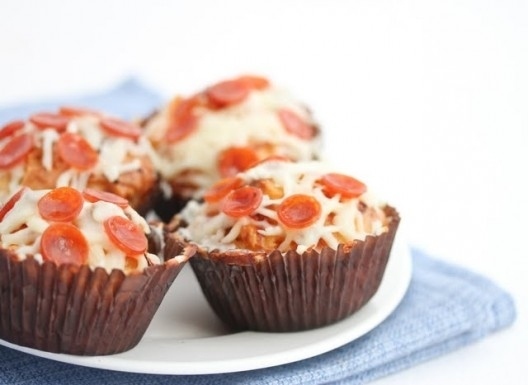 Unlike the above Buffalo Wing Cupcakes, these pizza cupcakes don't have frosting. What they do have is the makings for tiny pepperoni pizzas. The "cake" is actually a muffin, which is essentially pizza crust ingredients. Topped with pizza sauce, cheese and pepperonis. Brilliant. 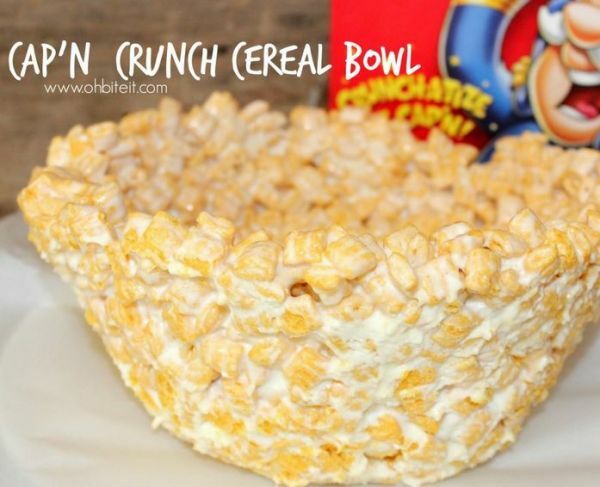 While this isn't a dish, it's perfect for something like a Super Bowl party. Imagine the uses you could have for edible spray paint? That bacon Lombardi Trophy above could have a silver finish. 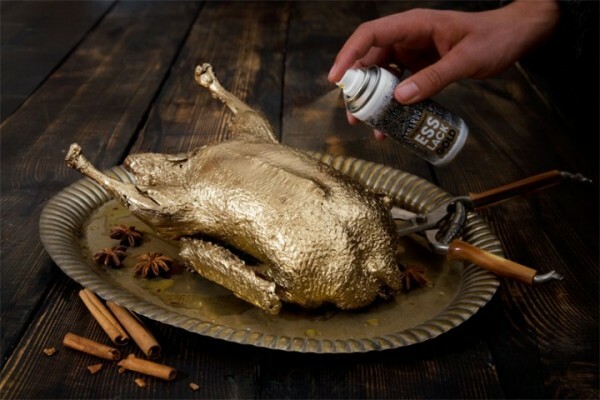 You could spray paint your chicken wings gold... the sky is the limit. These little dandies are great because they're not that difficult or time-intensive to make, and they're addictive. Sweet, heat, and bacon. Much like the aforementioned Meat Stadium, the good people at Serious Eats have actually broken down how to construct a meat stadium, complete with guacamole field. 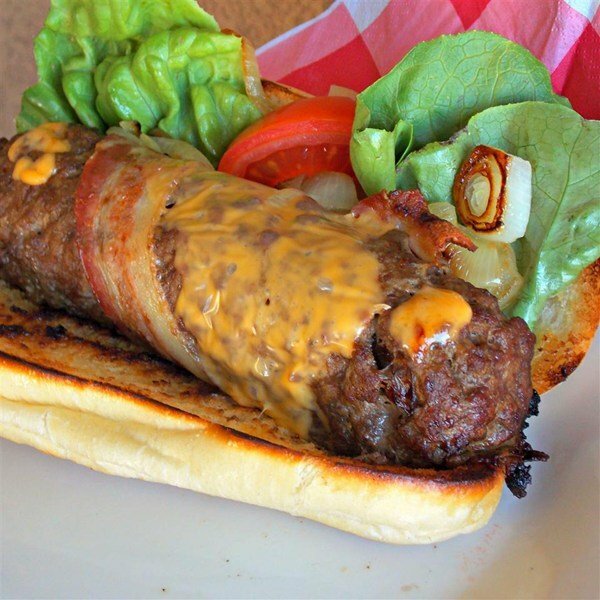 Spice up your hot dog by wrapping it with a glorified bacon cheeseburger. Why? Because you should never have to choose between a hot dog or burger. This has a weird name, but the result is delicious. 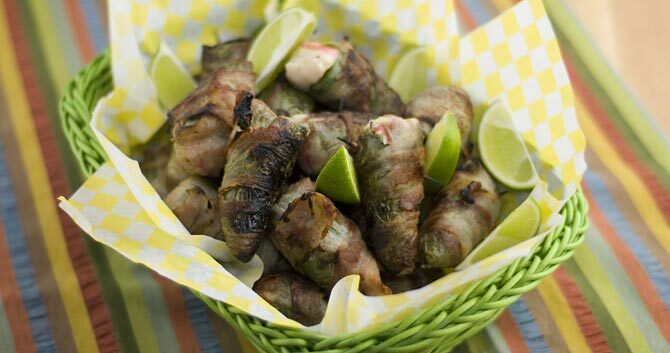 Demon Toes are simply jalepenos stuffed with cheese and crab, all wrapped in bacon and grilled. Beautiful. There is something magical that happens when you mix Velveeta, sausage and a little heat. 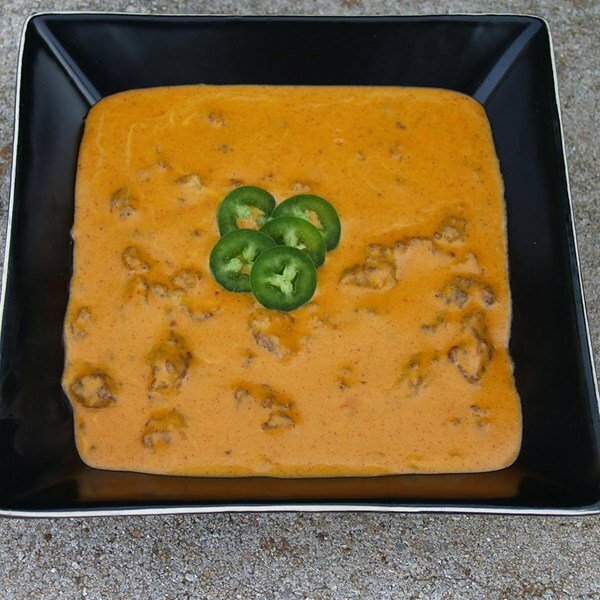 The ubiquitous "cheese dip" is a staple at sports parties. Fat Sam's Meaty Melted Man Dip (say that 3 times fast) takes things up a notch. Not only does it have the meat and cheese, but it also utilizes taco seasoning as well as hot sauce. Hot dogs are common. Hot dogs stuffed with cheese? Less common. 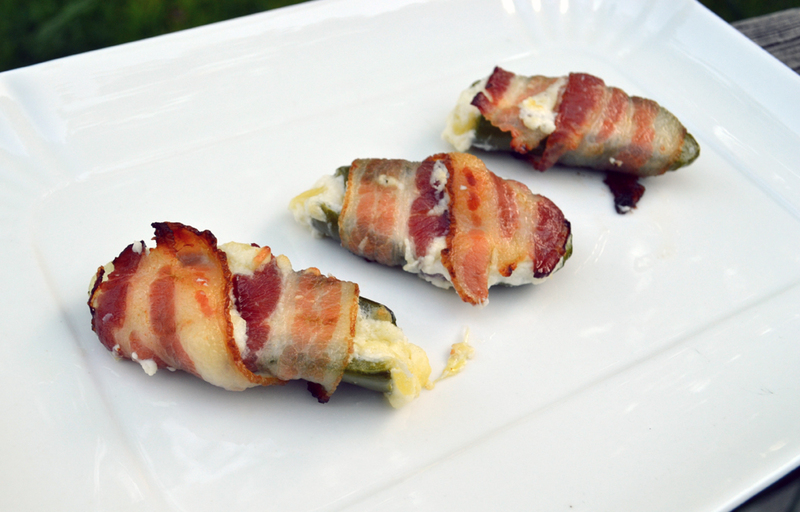 Hot dogs stuffed with cheese and wrapped in bacon? Now we're talking. Look, presentation is half the effort. 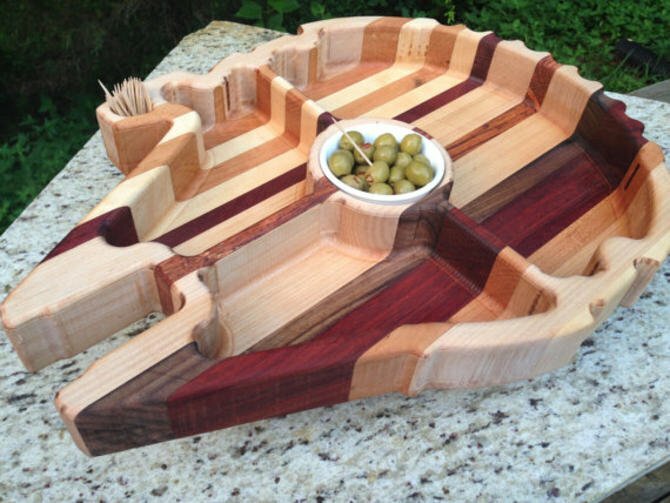 The beauty of rolling into the party with the Millennium Falcon Snack Tray is that no matter what you fill it with, people will stand in awe. You could fill this puppy with paint chips and your friends would eat them. While this tack didn't come with an accompanying recipe, we were able to find this one. It's pretty standard procedure though: take bacon, coat in flour and eggs, and fry. Repeat. While this is an insanely simple dish, the partygoers will marvel at your tasty genius. 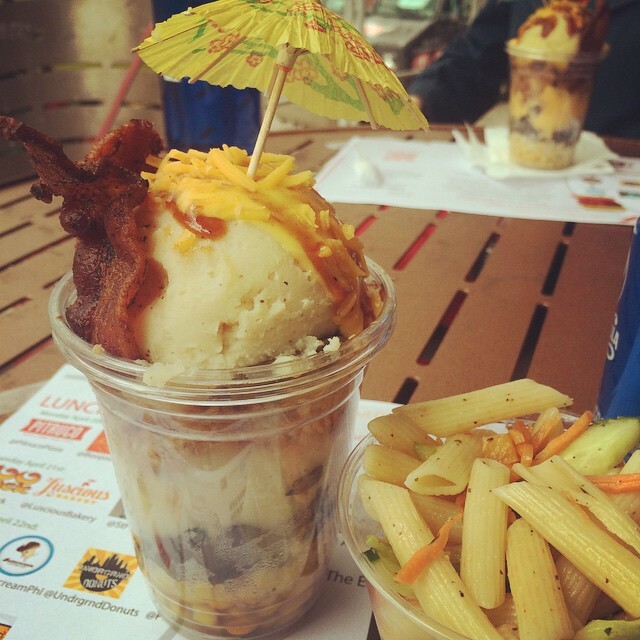 You'll notice that many of these dishes on the list include bacon. There's a very good reason for that. 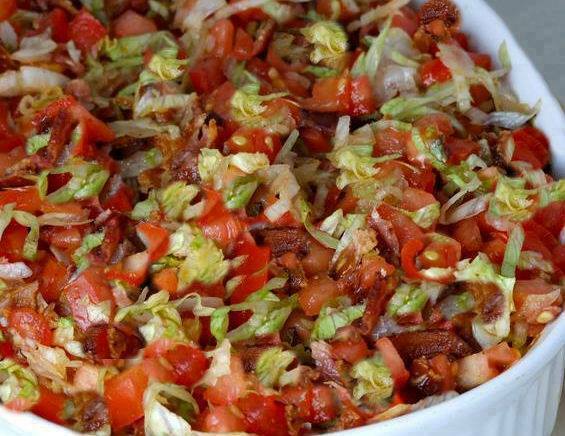 If you love the classic BLT, than you'll love this dip. Three different types of cheese, mayo, sour cream and a pound and a half of bacon. Bacon, potatoes and ranch. All simple ingredients, but mixed together create a heavenly concoction that pairs perfectly with your cheap beer of choice. It's 2016... why are we still using bread for our grilled cheese sandwiches? This is what this recipe aims to fix. 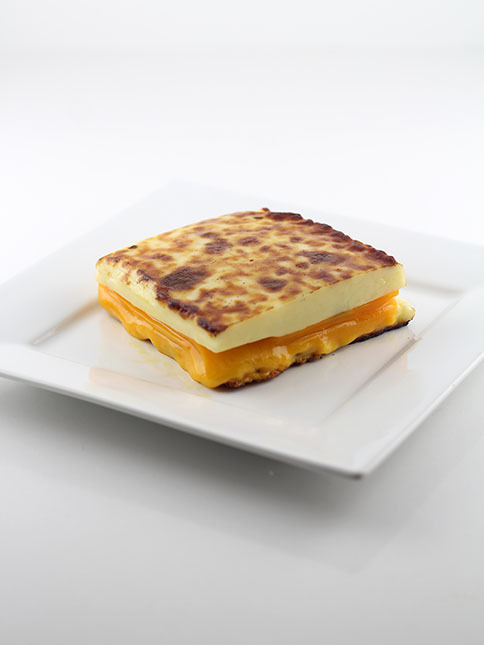 Instead of using bread as the wrapper to the sandwich, the recipe calls for "bread cheese", an semi-baked loaf of cheese. The result is a crispy, soft sandwich that is sure to clog your arteries in the best way possible. Little smokies are... fine. 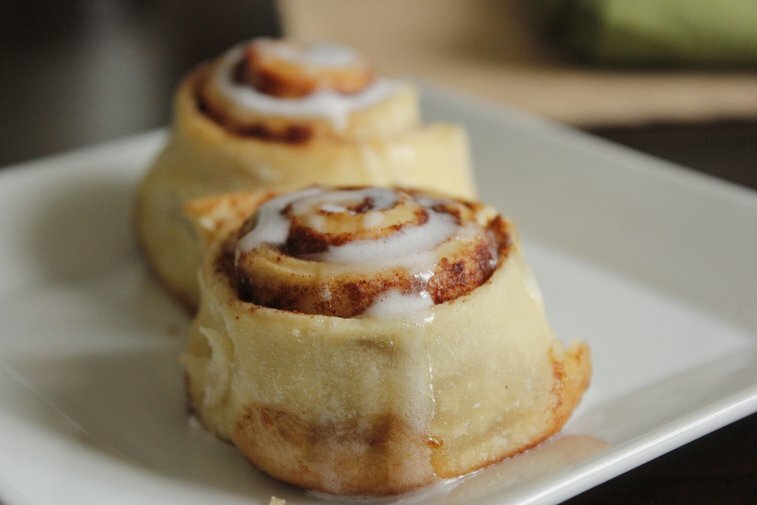 But if you wrap them in bacon and toss some brown sugar on them, you're going to turn some heads. When there's a bunch of people sitting around a TV, that means that plate space is limited. 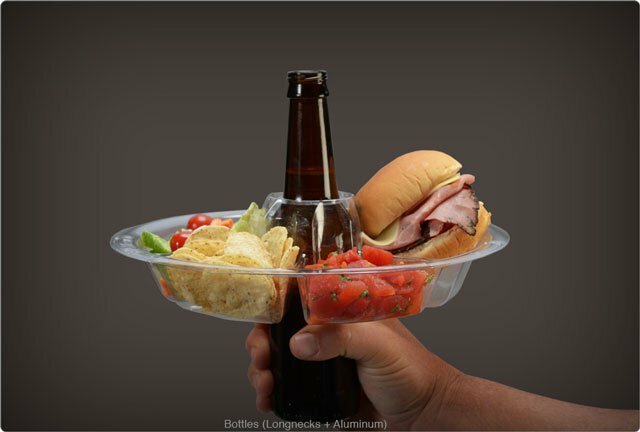 The Go Plate aims to fix this, by creating a plate that slide over the top of your beer. Just make sure to remove the plate when you go to take a drink. What's better than a classic kid's cereal and milk? Substituting milk, adding butter, and frying it. Move over, Paula Deen. 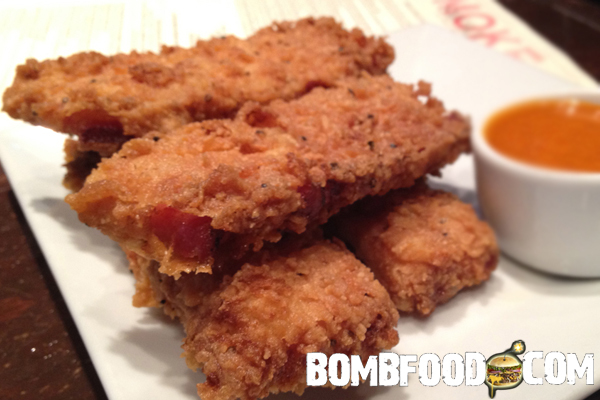 When you add bacon and bourbon to nearly any recipe, good things happen. 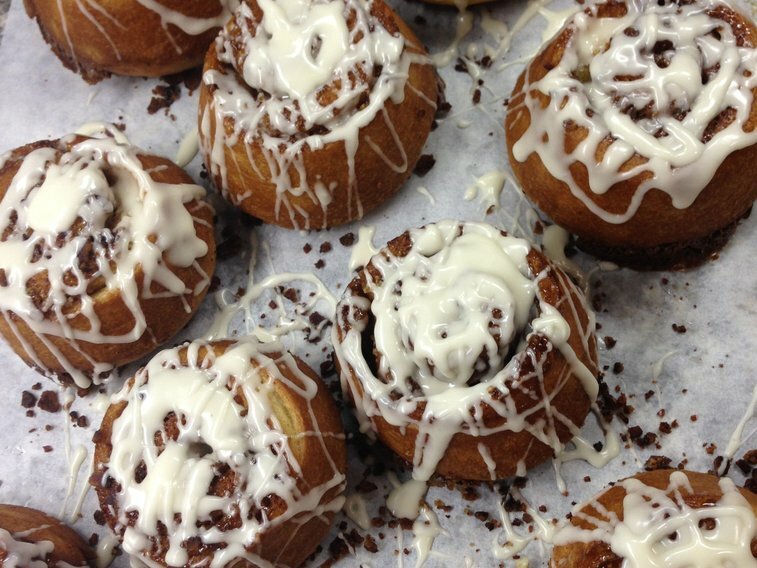 The same is true with these savory and sweet cinnamon buns. By now, you've surely heard of the bacon weave, right? It's simply frying bacon in a weave pattern in order to wrap it in something to make the something more delicious. 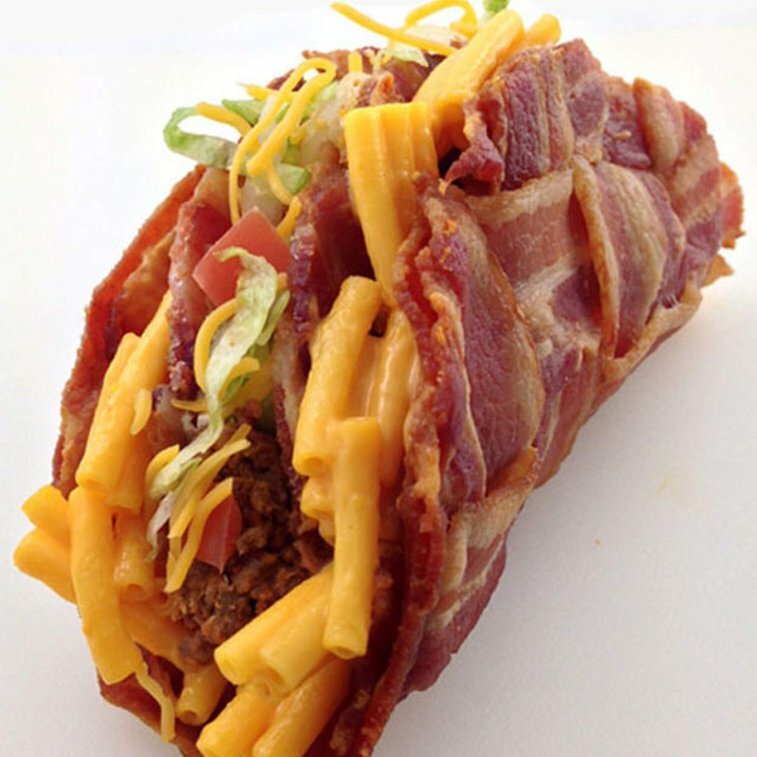 The Double Decker Mac 'n Cheese Stuffed Bacon Weave Taco uses this incredible bacon weave methodology, and adds in the unorthodox--but tasty--mac 'n cheese as a layer between the two bacon weave tacos. Brilliant. Here's another boozy variant of the cinnamon roll. Hopefully we'll see a commercial of Budweiser's famous clydesdales chomping on some of these in a commercial during the Super Bowl. Potato skins are excellent game fare. This recipe takes that recipe and twists it to become an almost dessert. 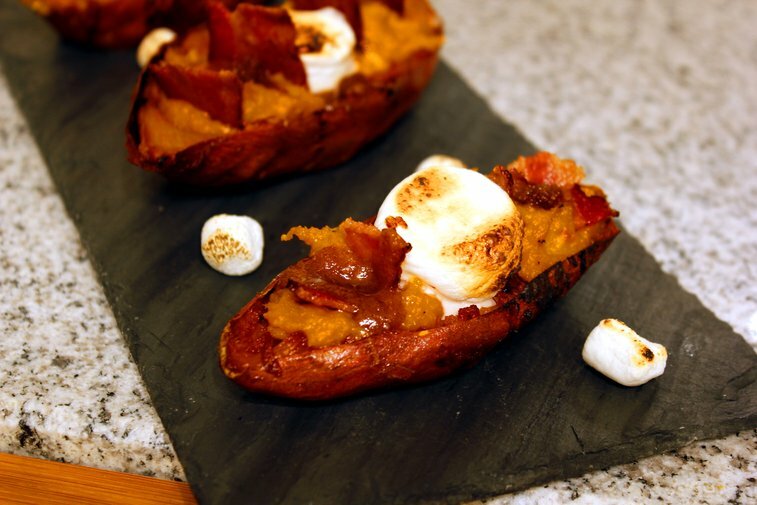 Sweet potatoes, marshmallows, molasses...mmmm. Everyone loves the burger-based sliders. 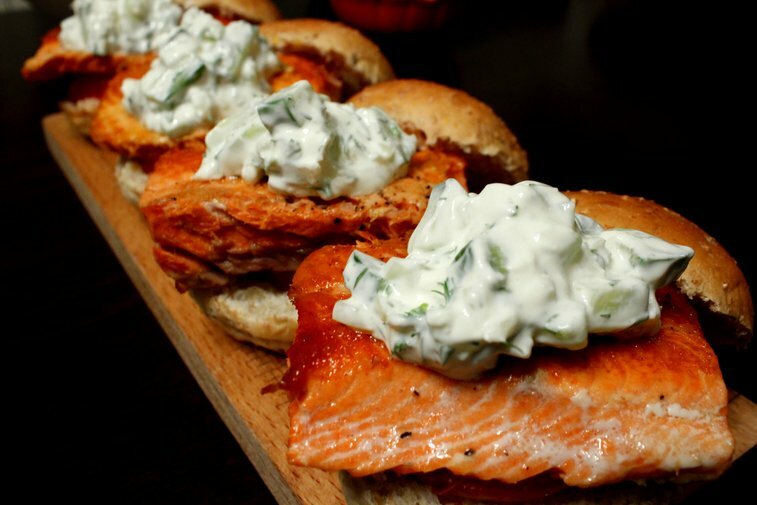 Using salmon instead is an interesting twist, making the burgers heartier and more interesting. Another stellar utilization of the bacon weave and turning a classic into a champion. You could cheat and just wrap a bacon weave around a traditional Choco Taco, or you could do the entire recipe as the poster did. Either way, you're winning. This follows a tried-and-true method for making memorable party food: take a classic dish (like chocolate chip cookies) and add alcohol, bacon, or both. 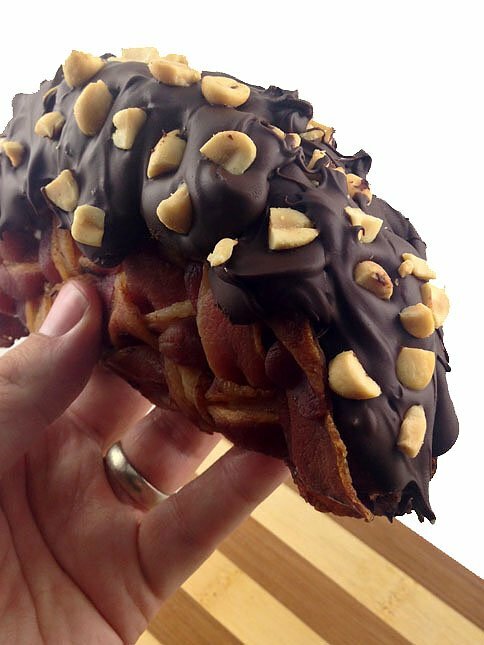 This is the model used to make these bacon, bourbon and chocolote cookie fusion. The Super Bowl sub is an underrated player in your finger food lineup. 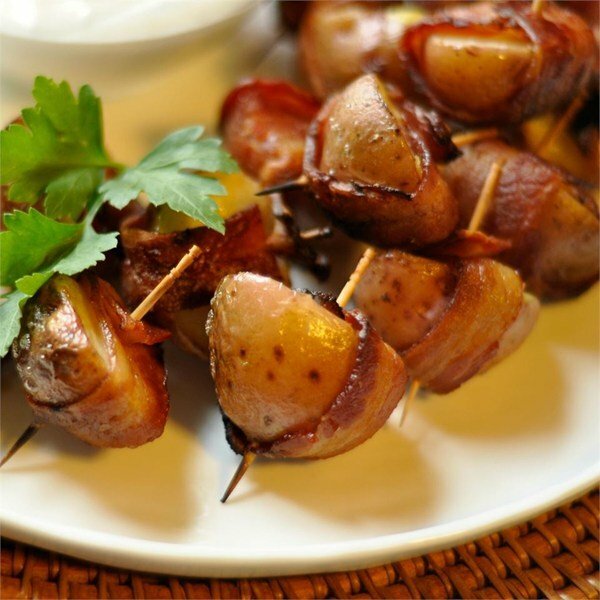 They're hearty, delicious, and easy to hang onto while doing your favorite end zone celebration. Sadly, many people will order this out from the local sub shop. But it doesn't have to be this way! 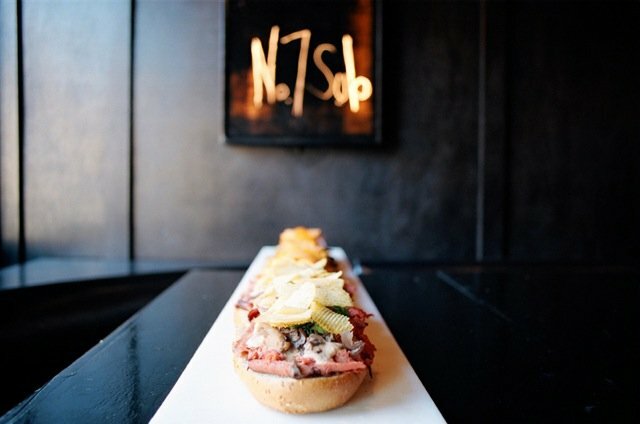 The good people at FoodRepublic have broken down a) what makes an excellent sub and b) how to construct one for this year's party. If you take anything away from this list, it's that adding bacon, booze, or tossing it in the fryer will instantly kick things up a notch. Above all... try something. And document it on Gentlemint, of course. If you're still needing more inspiration for a dish to take to the Big Game, try some of these resources below.